​Could Smart Watches Change Local SEO? The unveiling of Apple’s latest products always creates a storm among industry experts and tech-lovers, but the announcement of the Apple Watch earlier this month was a particular revelation. Several brands have already ventured into the world of smartwatches, but Apple’s arrival into the arena signals a new period of development and design for the wrist-based devices. It could also have important effects on the world of local SEO. Local SEO should be an area of key interest and high focus for anyone trying to boost their business online to potential customers nearby, and as the smartwatch world becomes more popular and common such firms must stay on top of the changes. Smartwatches have been around for a few years – the fitness industry has been using wearable tech for a long time to help people track their activity levels – but it is only now that the devices are entering the mainstream and starting to become a more integral part of life. This is true of wearable tech in general, although actual take-up is still fairly limited – Google Glass remains something of a sci-fi futuristic concept. Apple Watch is looking to change the marketplace by integrating many more functions into a single device – Siri, music, apps and so on. For local firms, the most important feature is mapping. The watch will use a system known as “haptic feedback” to give directions with buzzes, helping people navigate the environment. Couple this with Siri’s relationship with search engine Bing, and you have the potential for a whole new world of local SEO opportunities. However, this does mean that as well as optimising for typed searches via Google, businesses will have to add in to their SEO strategy a focus on the use of spoken searches that go through Bing. It will mean extra time, money and effort, but is the use of smartwatches takes off, being in the game ahead of the competition could mean big business. So how can businesses get on board? As the Apple Watch uses Apple Maps the first step is to ensure your business can be found in this system. The process is different from getting your listing on Google Maps, as Apple Maps pulls some information from local directories so you must keep your information updated on sites such as Yelp! Assuming your business is correctly listed, when the rise of super local searches comes via smartwatches – searching for a restaurant within a suburb or very small radius rather than a city, for example – you should be included. Looking further ahead, searches could become even more specific, looking at location and user information to provide the most relevant results, and in this instance it is important that your business listings and website contain the key words and phrases that are appropriate to your target market. 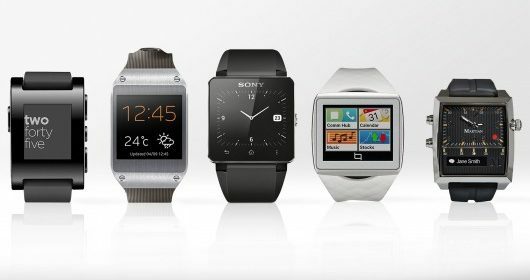 SEO Agency » Blog » ​Could Smart Watches Change Local SEO?